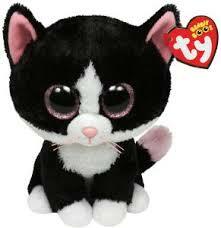 Beanie Boo Cats: How Many Do You Have? 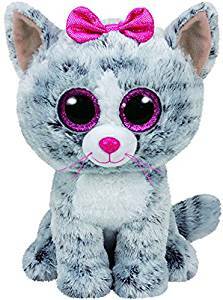 Welcome to Beanie Boo Fan Club's House of Cats! Meow - we're glad you're here. 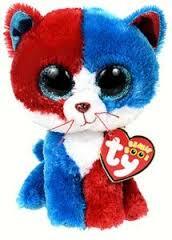 Did you know there are 49 Beanie Boo cats! Check them out. 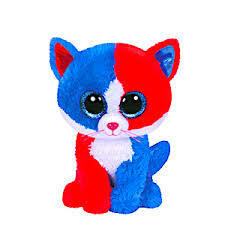 Firecracker is a red, white and blue chimera cat with blue eyes and red and white ears. Firecracker's birthday is July 1. 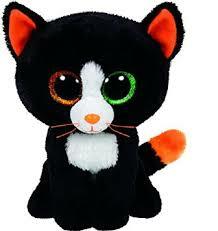 Frights is a black and white cat with one orange eye, one green eye and orange ears. Fright's birthday is October 19. 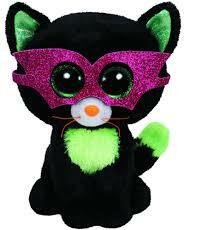 Jinxy is a green and black cat with green eyes and ears and a purple face mask. Jinxy's birthday is October 13. 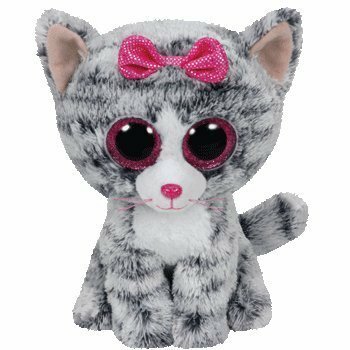 Kiki is a grey and white striped cat with a pink bow and pink eyes. Kiki's birthday is August 16. Lindi is a grey, white and black spotted cat with purple eyes and purple ears. Lindi's birthday is May 17. Moonlight is an orange and black cat with orange eyes. 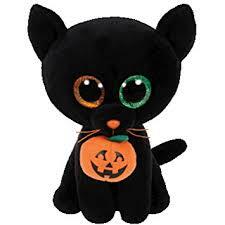 Are you surprised that Moonlight's birthday is Halloween: October 31? 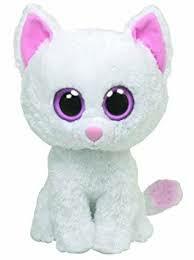 Muffin is a white cat with pink and black spots and pink eyes. 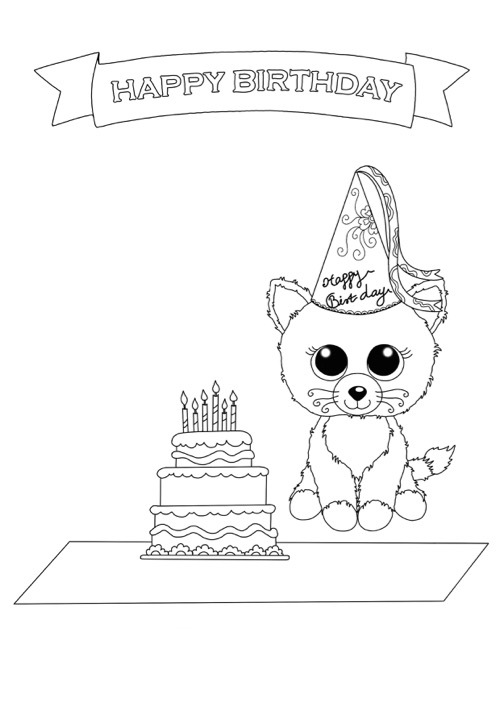 Muffin's birthday is January 7. 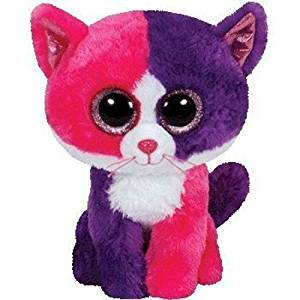 Pellie is a purple and pink chimera cat with pink eyes and pink ears. 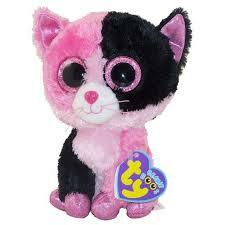 Pellie's birthday is February 28.
Pepper is a black and white cat with pink eyes and pink ears. Pepper's birthday is October 8. Shadow is an all-black cat with one orange eye and one green eye. She carries a jack-o-lantern in her mouth. Shadow's birthday is October 17. 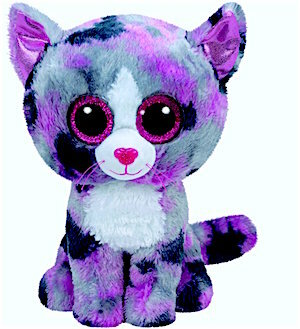 Sophie is a pink, purple and yellow speckled cat with green ears and green eyes. Her birthday is January 13. 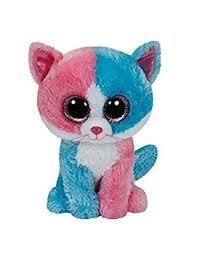 Spirit is a blue and red cat chimera cat, with red and blue ears and blue eyes. Spirit's birthday is May 2. 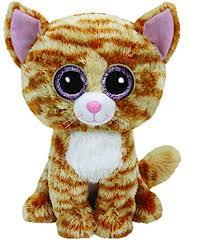 Tabitha is a Yellow and brown striped tabby cat with purple eyes and pink ears. Her birthday is December 7th. 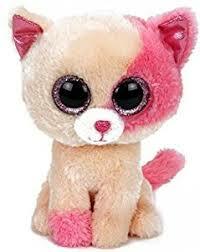 Tauri is a brown and black chimera cat with pink eyes and pink ears. Tauri's birthday is February 4. 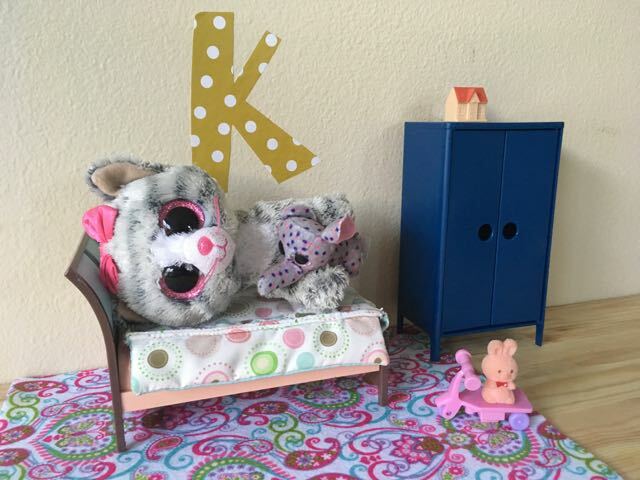 Willow is a grey striped cat with a pink bow and grey ears. She has pink sparkly eyes. Willow's birthday is January 2. 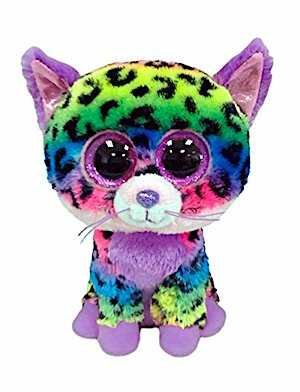 Dotty is a rainbow colored leopard with purple eyes and purple ears. 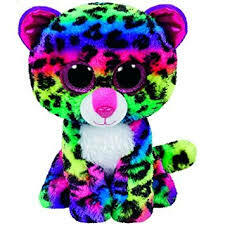 Dreamer is a purple, pink and blue leopard with pink eyes and pink ears. 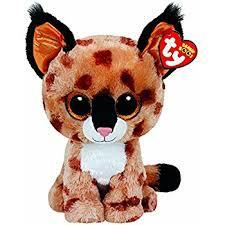 Freckles is a brown and black leopard with gold eyes. 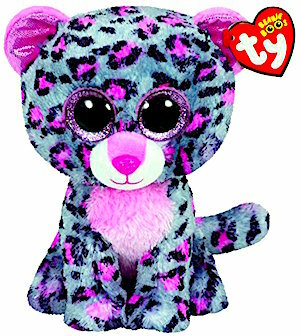 Glamour is a purple and pink leopard with pink eyes and pink ears. 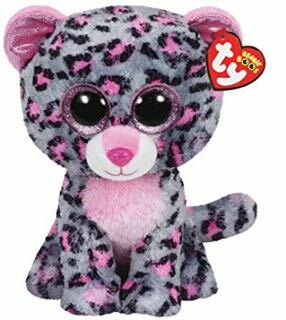 Gypsy is a pink and black leopard with pink eyes and pink ears. 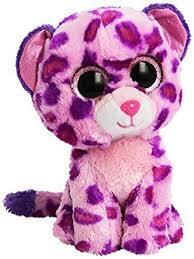 Jewel is a purple and black leopard with light pink sparkly eyes and pink ears. 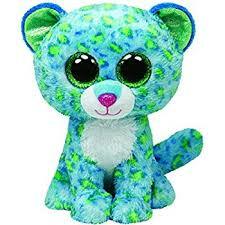 Leona is a blue and green leopard with green eyes and green ears. 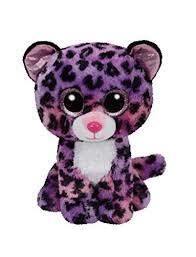 Lizzy is a blue, purple and black leopard with purple eyes and purple ears. 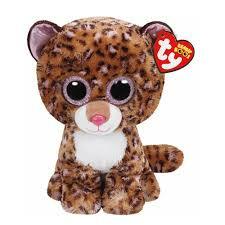 Patches is a brown and pink leopard with pink eyes and pink ears. 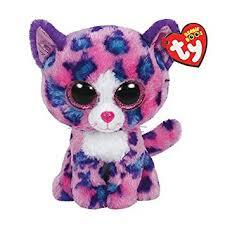 Reagan is a purple, blue and pink leopard with pink eyes and pink ears. 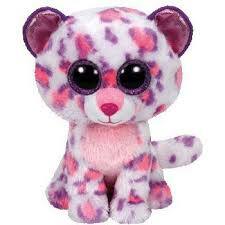 Serena is a pink, purple and white leopard with pink eyes and pink ears. 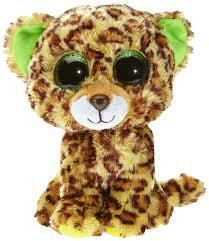 Speckles is a brown spotted leopard with green eyes and green ears. 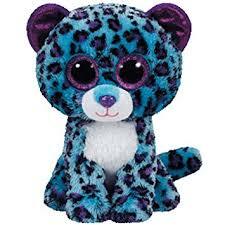 Sydney is a blue and pink leopard with pink eyes and pink ears. 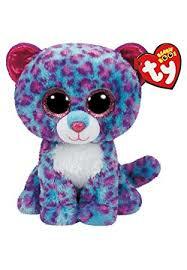 Tasha is a purple and blue leopard with pink eyes and pink ears. 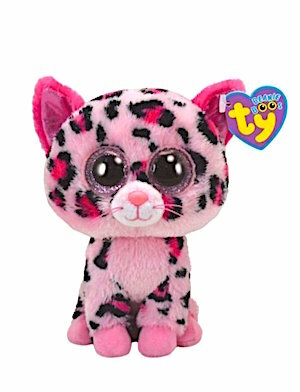 Trixie is a rainbow leopard with pink eyes and pink ears. 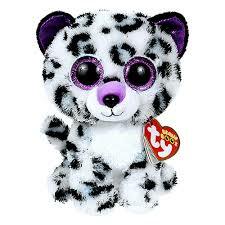 White, black and grey leopard with pink eyes and pink ears. 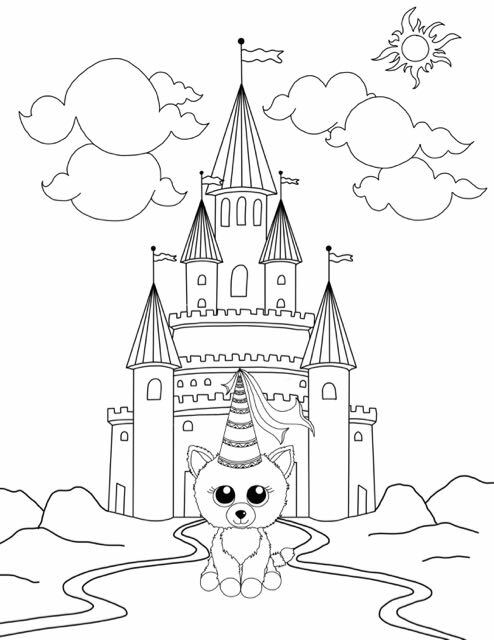 Fluffy is a pink lion with purple eyes and a pink mane. 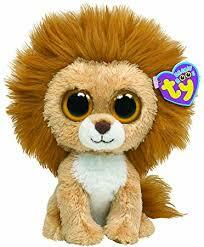 King is a brown lion with brown eyes and a brown mane. 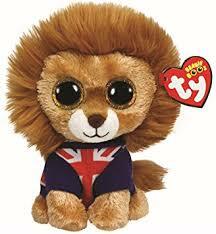 Hero is a brown lion with brown eyes and a brown mane. 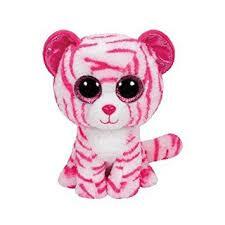 Asia is a pink and white striped tiger with pink eyes and ears. 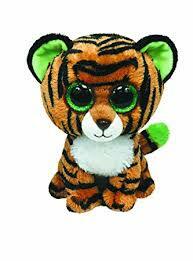 Stripes is a brown and black striped tiger with green eyes and ears. 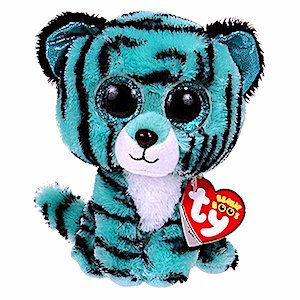 Tess is an aqua and black striped tiger with teal sparkly eyes and ears. Buckwheat is a tan, brown and black lynx with golden eyes and ears. What is a Chimera Cat? A chimera cat is a cat who has different different coloring, split down the middle of the face. Chimera cats can also have a different eye color for each eye. 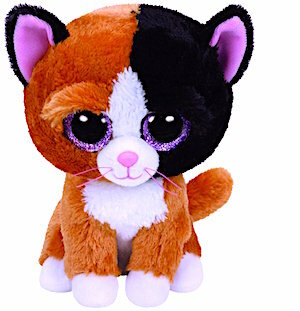 There are a number of Beanie Boo cats that show chimera features.